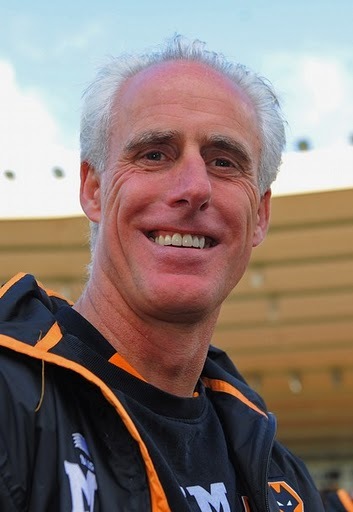 There's much to talk about in the wonderful world of sport this week, but first a little story from a quick fire visit by our old friend Mick McCarthy to Dublin last week. Mick was in Kildare for most of the week with his Wolves team as they prepare for another season in the Premier League after they survived Survival Sunday on May 22 by the skin of their teeth. He left the Carton House estate -- and left behind 22 players and 13 technical staff -- on a couple of occasions. Once to see UCD play Bray in the League of Ireland and secondly, to talk to a marketing seminar on behalf of a long time pal. His speech wasn’t scripted. Mick’s intention was to share his experiences with managing workers, in his case very well paid professional footballers, and budgets with an audience of business leaders. It worked very well as it happened. Ever courteous and engaging, Mick had the audience eating out of his hand as he talked us through the trials and tribulations of a season that literally went to the wire for Wolverhampton Wanderers. He told of how Alex Ferguson used to have a glass of red wine waiting for him in his office at Old Trafford every time Man Utd beat the Wolves. “He handed me the glass of wine and uttered the word ‘unlucky’ to me so many times that I began to think the wine was called Unlucky,” laughed McCarthy, whose own side finally beat United when they met at Molineux earlier this year and the whine was on the other foot so to speak. Our Mick also revealed a little habit he picked up in France -- from Raymond Domenech of all people -- that all present in the room sat up and took notice of. Former French boss Domenech, hated in this part of the world these days, was the manager of Lyons who brought Mick to France from Celtic back in 1989. The first day Mick trained with Lyons they were in camp and staying in a hotel in the French countryside. Arriving down for breakfast, Mick said hello to the manager in the distance and took a seat at a table near the door of the breakfast room. One by one the French players arrived. One by one the French players walked to the far end of the room, shook Domenech and his staff by the hand and said good morning. Mick soon realized it was the custom in that part of the footballing world, a custom he imported to Wolves a few seasons ago when a number of players who had been through the French system arrived in the English midlands. Now every morning begins with a handshake for management, players and staff at the Premier League club. It is something, McCarthy feels anyway, which has helped to generate the team spirit and bond that every Wolves player talks about, a togetherness that was part of the reason why they managed to hang in there when relegation was sorted at the end of last season. A lot of people at that marketing conference came up to Mick afterwards and said they were going to try the handshake experiment in their own working environment. He urged them all to do so. “It is the most natural thing in the world to do and it made so much sense, not just for football but in any walk of life,” Mick told me later over a pint at his latest team hotel. “I came back to English football in 1990 and I didn’t keep it up, but when some French players came to Wolves recently I remembered that it is something they do every morning and I brought it back. “There’s no point just doing it with the French players, so now I do it with everyone and I make sure they do it as well. It doesn’t matter if you’ve fallen out with me or I’ve fallen out with you, we start our day with a handshake. Handshakes won’t win football matches. Mick McCarthy knows that better than anyone. But anything than can help his team stay in the Premiership this coming season is worth trying as far as he’s concerned. And he’ll shake on survival now if you’re offering! GOLF: This is the week when Rory McIlroy gets back to work, so please don’t ring me anytime between Thursday and Sunday. If you’re looking for me, I will be sitting in the front room of the family home, glued to the BBC’s coverage of the British Open golf championship from the Royal St. George’s course at Sandwich in Kent. I don’t know if McIlroy is going to win or not but I will be rooting for him. And if he gives us half as much pleasure and entertainment as he did at Congressional, it will be well worth four days stuck to a TV screen. If you’re looking for an each way bet by the way, don’t look beyond Padraig Harrington. All his tinkering has to come right someday soon, and he played well enough in Scotland last weekend to suggest he’s on the way back. BOXING: World champion in the making Matthew Macklin got back in time from New York last weekend to watch his beloved Tipp destroy Waterford in the Munster hurling final. The former Tipp minor got a wonderful welcome from the Cork crowd when he presented the trophy to the winner of the Poc Fada competition at halftime in the minor game. Said winner, by the way, was from Waterford. And that’s all they got their hands on for the entire day! Matthew got on well in the Big Apple and could be back to fight there in the New Year. Watch this space. CYCLING: There was a time when every kid in Ireland would be out on their bike as the Tour de France beamed into our homes -- from France of course! The Tour no longer has the same appeal, but I can strongly recommend Nicolas Roche’s brilliant daily column in the Irish Independent, available on their website. The son of former winner Stephen is quite brilliant in his descriptions of life as a competitor in one of sport’s toughest events. HURLING: Back to the Munster final and a quote that makes the Waterford manager Davy Fitzgerald look very stupid when taken out of contest. After admitting that his team had the proverbial “shocker” against Tipp, Fitzy remarked, “The most important thing we tried to do today was not to leak goals.” So Plan A didn’t work then Davy? SOCCER: The Kenyan defender Victor Wanyama must have be confident in his own ability to make it as a top player at Celtic. Having studied the club’s history, Wanyama has opted for the number 67 jersey for the coming season in honor of the Lisbon Lions. Talk about putting yourself under pressure before you’ve even started work. HURLING: One last story from the Munster hurling final -- asked to explain his brilliance on the day, Lar Corbett threw the spotlight back on the media questioning him. “In your jobs you’re being challenged every day, remember that -- there’s papers going bust, ask the right questions! But there’s another level in everyone,” he remarked. Touche. GAA: Could some medical expert please examine the 76-year-old Wicklow manager and Kerry legend Mick O’Dwyer and discover the secret to his eternal zest for life. Whatever Micko is on, I want some of it! Lar Corbett produced the individual performance of the summer thus far with his four goals and four points, all of them from open play, for Tipperary against Waterford in Sunday’s lop-sided Munster senior hurling final. Corbett would earn a small fortune in the Premier League if he was as good a footballer as he is a hurler. The man is, quite simply, a genius. The former Irishman Stephen Ireland wants to make a fresh start under the new Aston Villa boss Alex McLeish. He’s even prepared to move to Birmingham and buy a house in the same city as the club that pays him almost $100,000 a week to kick a football. God bless him. It’s nice to know that Stephen cares about something other than himself. For now.